Mike Snider at USA Today did a fine profile of my new book on Tuesday. I was asked to do a piece for their website. That did not make it in to the package. So here it is now, light and breezy in that USA Today style. 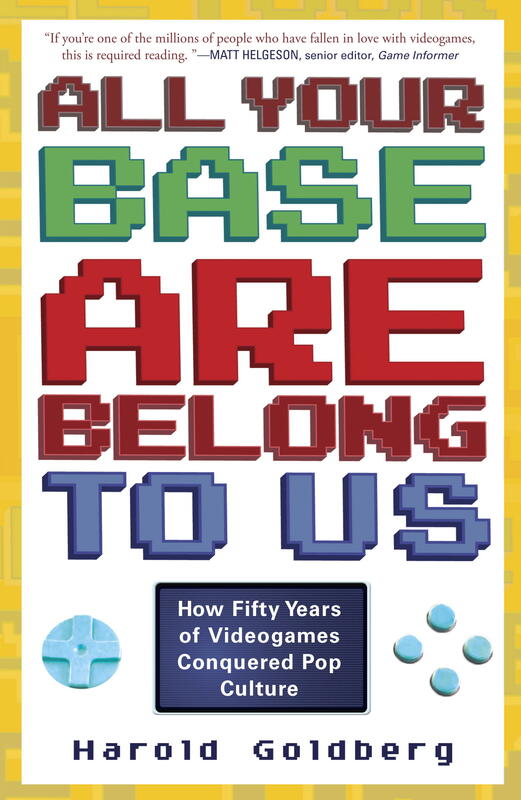 Over 200 people were interviewed for All Your Base Are Belong to Us. That’s why it took over three years to write. The lengthy book proposal itself took a year to complete. For a while, no one wanted to take a chance on publishing the book. Thankfully, Crown/Three Rivers did. It’s not an encyclopedia of every game. It’s not all about high technology and cool consoles. It’s about the thrilling highs and tragic lows of people with brilliant minds who have an abiding passion for making games. When I finished the first draft, I treated myself to a two-week trip to Thailand — with my Nintendo DSi and Sony PSP, of course. Once off the plane, I popped into a convenience store for snacks. The first thing I saw was a Pokemon drink featuring Pikachu on a small paper box. The contents tasted awful, though, a combination of thick milk and honey. I sat on the porch next the ocean a lot – and just for fun, started an adventure novel and a horror screenplay about, you guessed it, videogames. I also worried a lot about getting one particular interview. It took the better part of a year to get into Rockstar Games (Grand Theft Auto, Red Dead Redemption) to speak to the notoriously press averse studio co-founder, Sam Houser. But when I did sit down with Houser, he was gracious, insightful and talkative. He answered every imaginable question, even the tough ones. We spoke for about many hours about the intricate magic of making games, and about some very difficult subjects, like the infamous Hot Coffee incident. No writer has ever been given that kind of access before. It was completely worth the effort and the wait. As editor in chief at Sony Online Entertainment around the year 2000, I was lucky enough to craft the words for a lot of online games. I even helped out with EverQuest, the legendary massively multiplayer online role playing game. What people don’t know is that my team at Sony created on an online magazine called Motherboard. We had great contributors like director Gus Van Zant, actress Michelle Williams, animator Bill Plympton, and authors Michael Crichton, John Saul and Steven Kent. Sony ended up axing the project. It was too edgy for them. But I like being edgy and taking chances. There’s a lot of that in All Your Base Are Belong to Us, which I hope you enjoy.